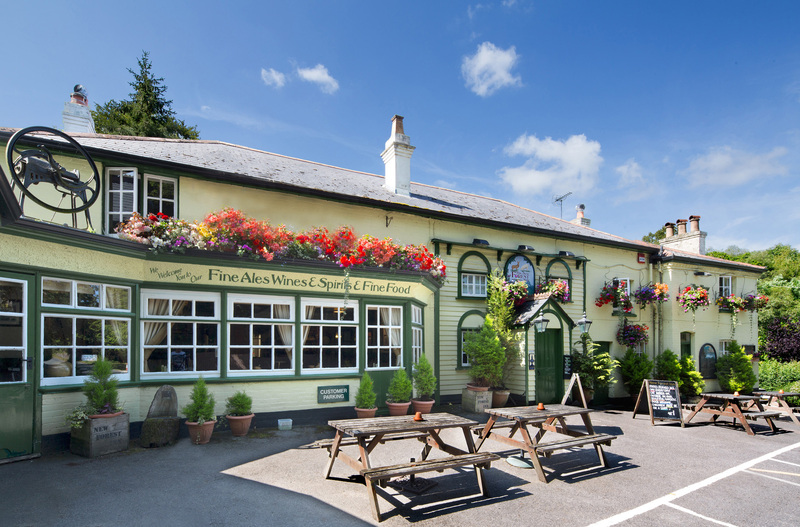 The New Forest Inn is a charming traditional country pub with 4 letting rooms. Along with this comes creaking floors and sloping ceilings and natures noises from the sleepy forest behind. 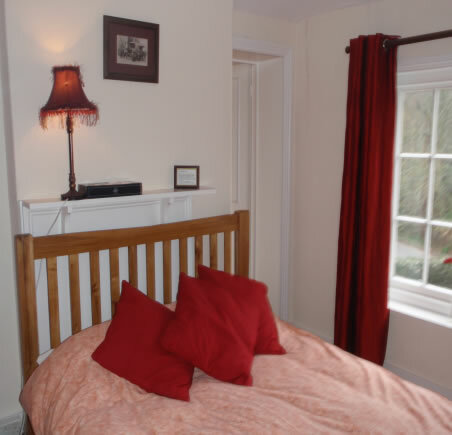 All our rooms are a little bit quirky in their own way – but that is a part of the charm of staying in a country pub. 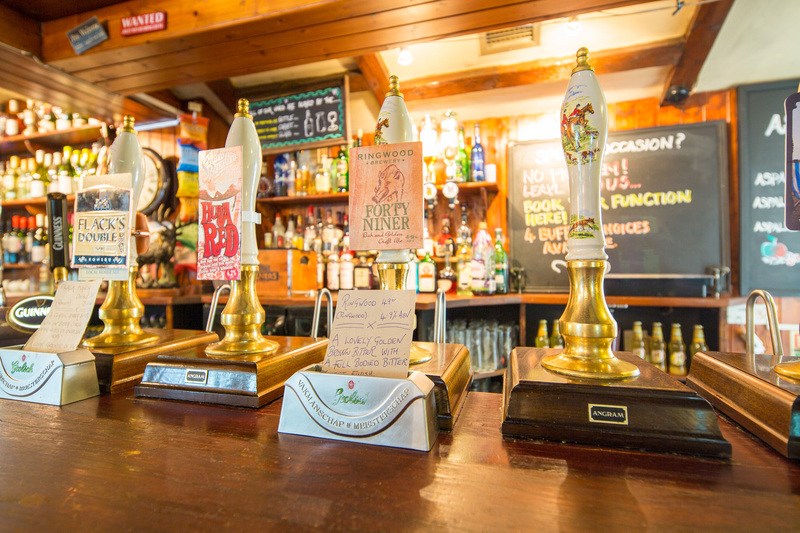 Our rooms are all on the first floor and have 24 hour separate access, although most of our guests enjoy a substantial, delicious meal, a nice glass of wine or ale. They then amble up to bed in their after an enjoyable and relaxing evening. We do not offer room service but we do have an amazing restaurant serving good home cooked food every day. With direct forest access there are many enjoyable walks straight out from our front door –again, please ask any of our staff for details. 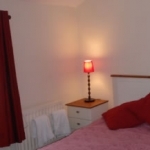 A very small double room, with over sized wardrobe and dressing table but does have a flatscreen TV (with DVD & Freeview) and tea & coffee making facilities. The ensuite is adequately big – being long and narrow with a lino floor and a quirky step into shower (which is very good and powerful! 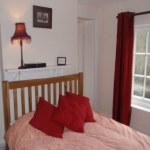 ).Overall it is better suited to single occupancy but is suitably priced for two as the small double it is. 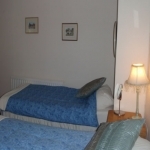 A very pleasant larger room, which has two comfortable twin beds, with bedside tables. These can be pushed together if you prefer. There is also room for the single fold out chair bed if you require an extra bed. This does suit an adult or child. 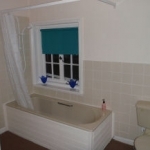 The ensuite is a bath and shower and is always warm. 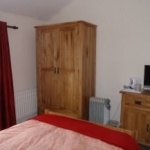 The window from the room overlooks the garden and the wardrobe and dressing table is large enough for 3 people. 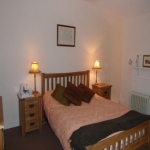 As with all the ensuite rooms this also has the Flatscreen TV with DVD & Freeview, and tea and coffee making facilities. 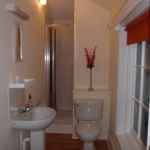 This is everyone’s favourite double ensuite room as it is comfortably big enough and has a relatively new ensuite shower. 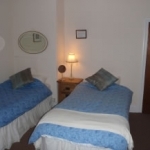 The chair bed can also fit in this room (although we only have one so please ask if you require it). 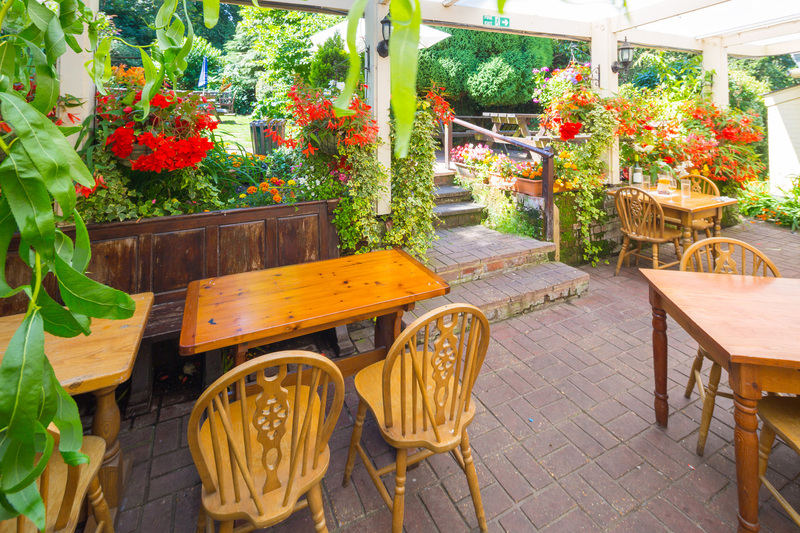 It is a nice bright room and overlooks the front of the pub where ponies can be seen ambling by. 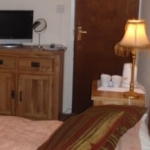 Again this room has Flatscreen TV with DVD and Freeview and also tea and coffee making facilities. 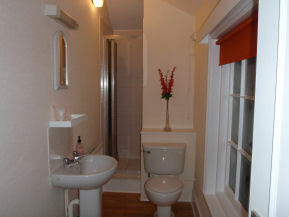 Also at the front this is a smaller room and has the shower and toilet across the hallway so is not ensuite as such. 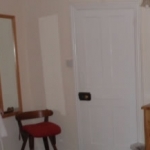 The shower room and toilet are not shared with anyone else and is literally a couple of steps away. 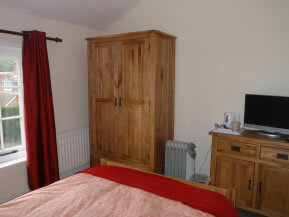 A bit of a creaky room this has alot of character and has tea and coffee making facilities with TV and Freeview. Rooms are available to check in from 3pm onwards – should you require an earlier check in for your bags please let us know and we can store them securely for you. Check out is by 11am on the day of departure. If you require a later time please contact reception and we will try and accommodate. We know that many people love to bring their pets to the forest. For this reason all four of our rooms are pet friendly. 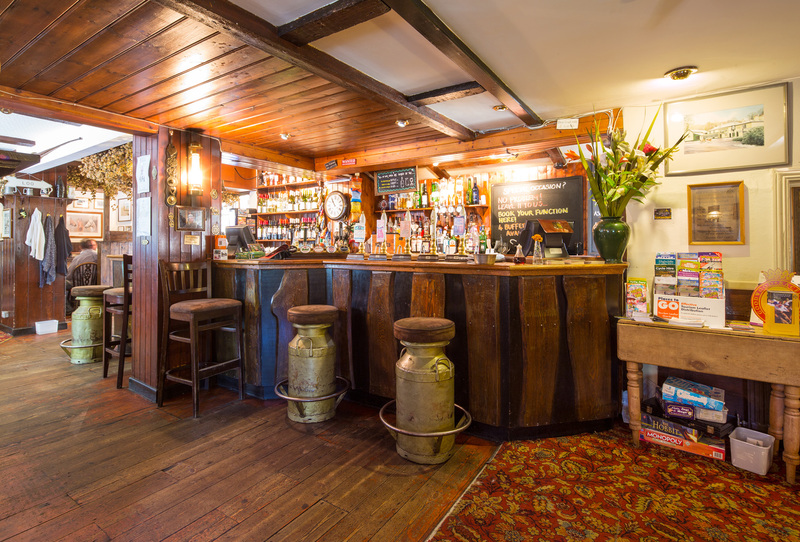 You can choose from any of the three areas of the restaurant and pub, in front of the log fires or a cosy table for two tucked under the stairs. There is a delicious menu with light snacks and starters, doorstep sandwiches and also the full 3 course menu available. The bar and restaurant is open all day every day. 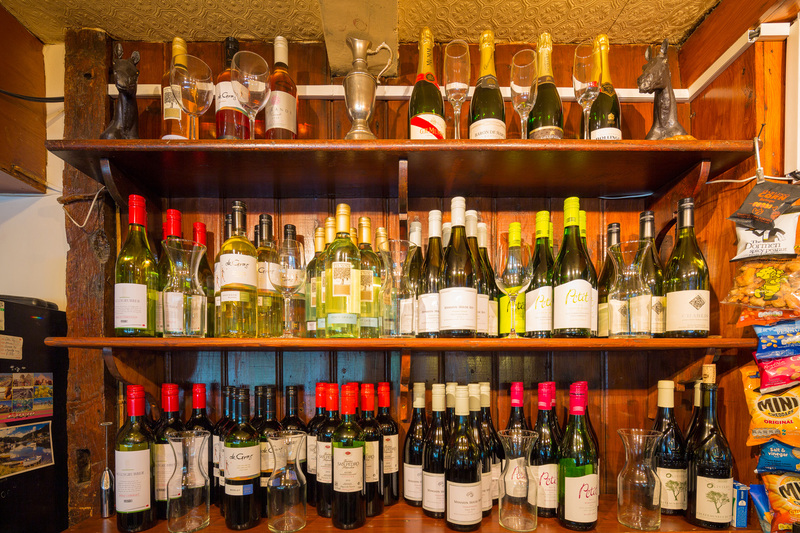 The full menu is available and it is recommended that you book your table for the evening, so we can accommodate you in the best place for your individual requirements. Food is freshly prepared to order so if you have any special dietary requirements the utmost will be done to achieve it for you.